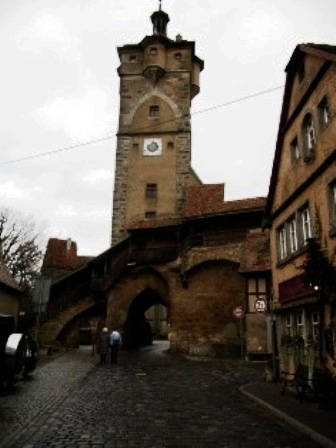 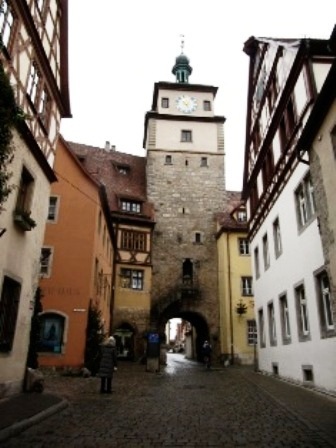 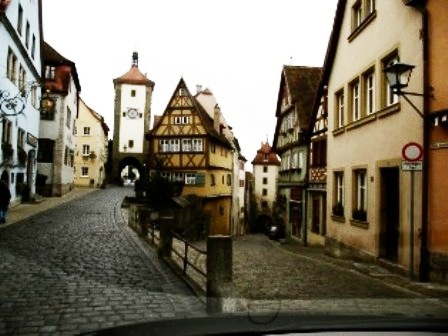 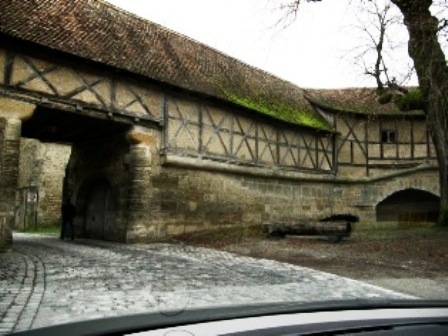 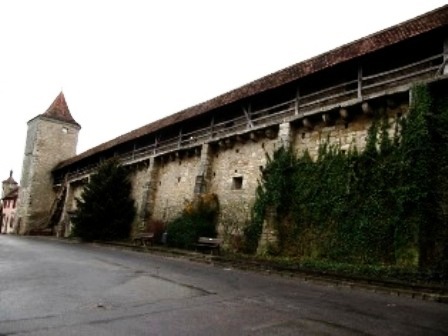 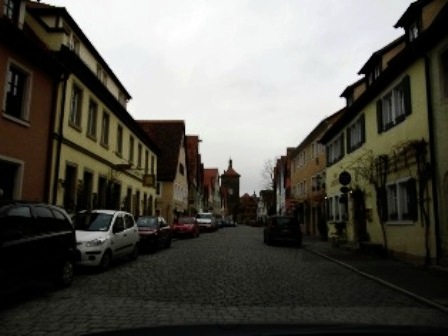 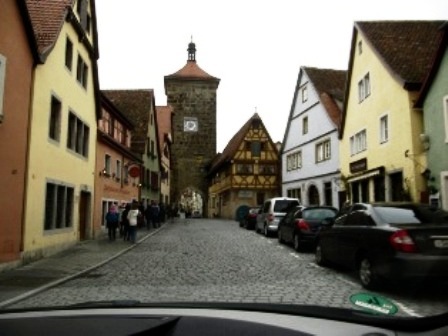 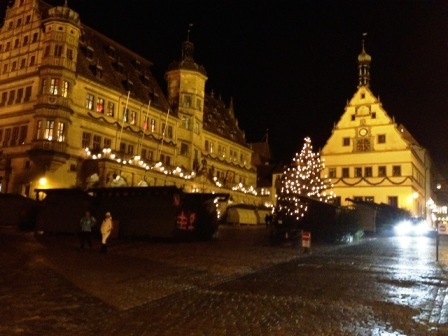 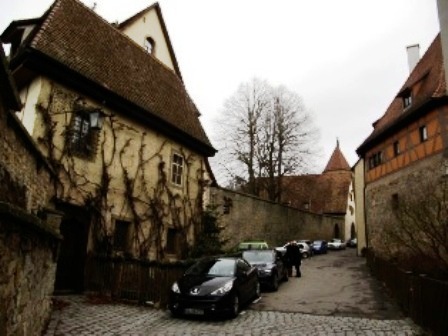 The name "Rothenburg ob der Tauber" means, in German, "Red fortress above the Tauber". 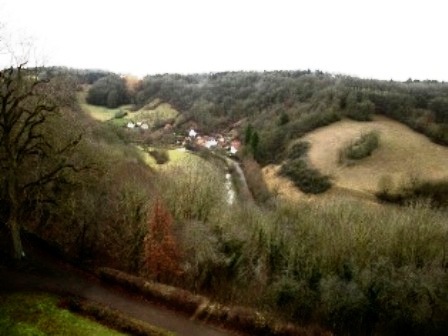 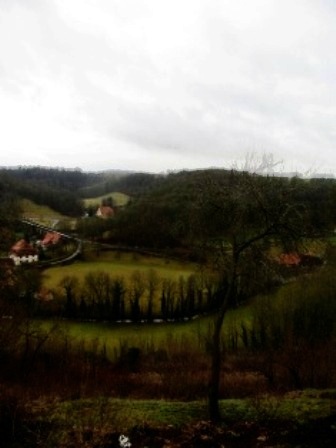 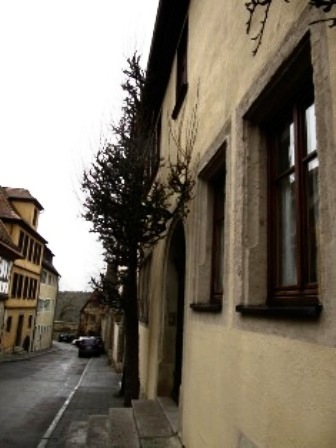 This is so because the town is located on a plateau overlooking the Tauber River. 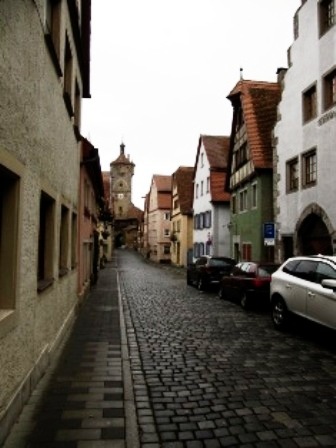 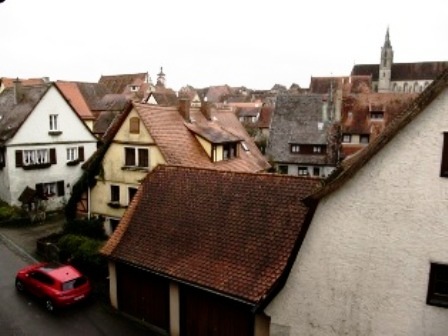 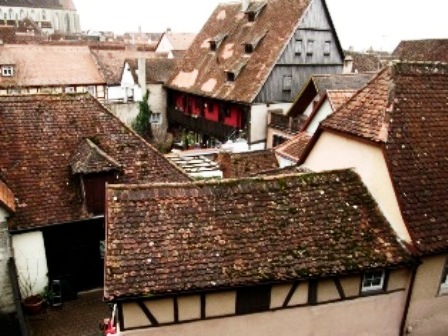 As to the name "Rothenburg", some say it comes from the German words Rot (Red) and Burg (burgh, medieval fortified town), referring to the red colour of the roofs of the houses which overlook the river. 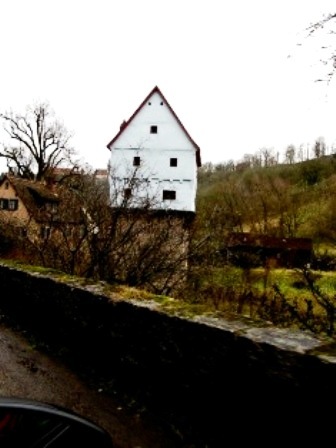 The name may also refer to the process of retting ("rotten" in German) flax for linen production. 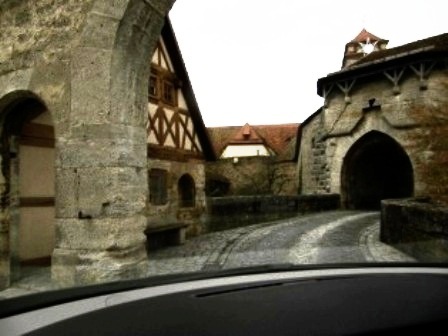 Entrances to the walled city. 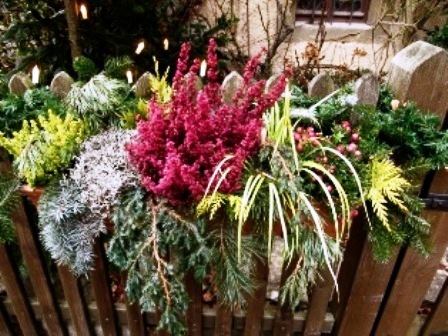 Some of the typical Christmas decoration. 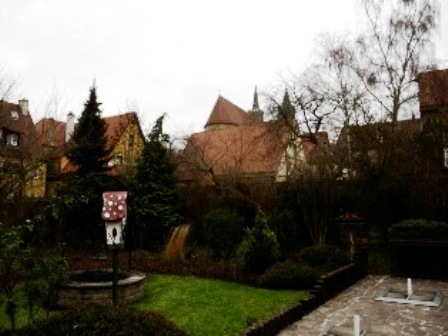 Typical backyard gardens in the winter. 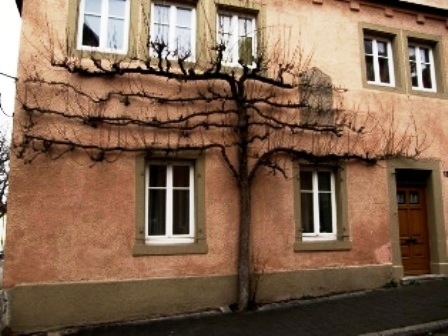 Pollarded edible pears are common. 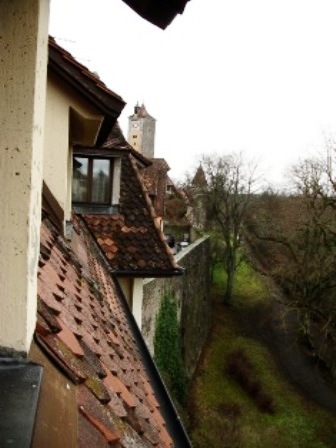 Views from the wall that surrounds the city. 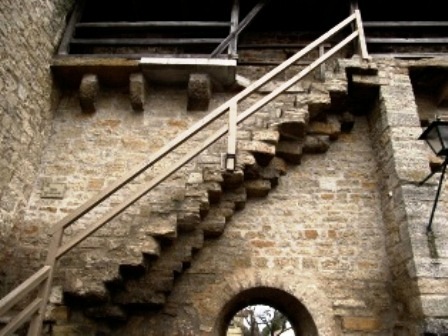 Stair detail on the inside of the stone wall. 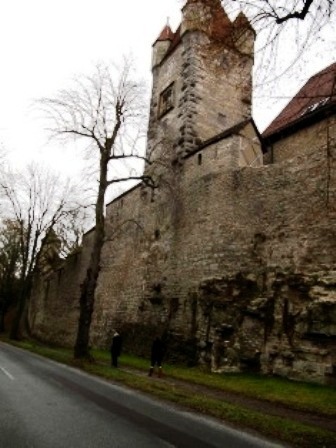 The surrounding wall shot from the inside. 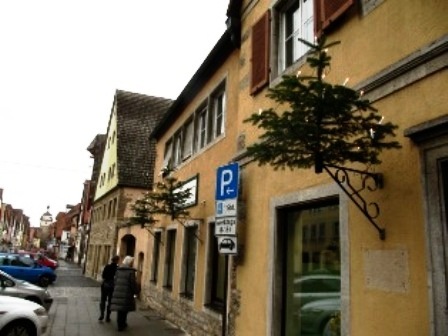 Many small trees or tops of trees were used as Christmas decoration. 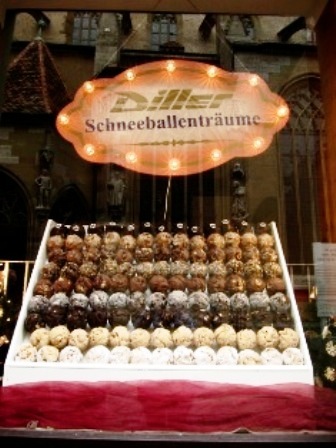 Sweet shops are as common as the beer pubs and cafes. 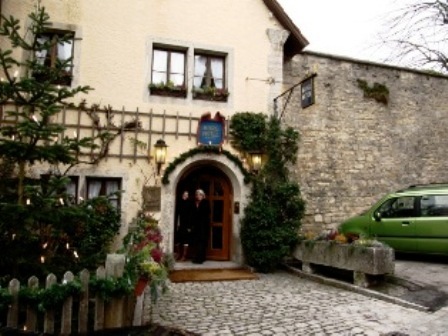 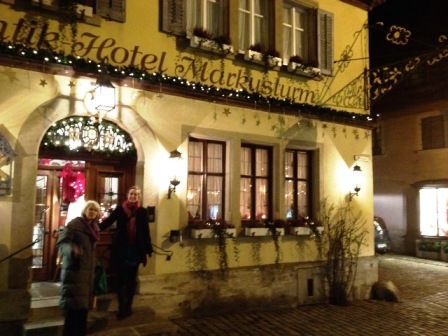 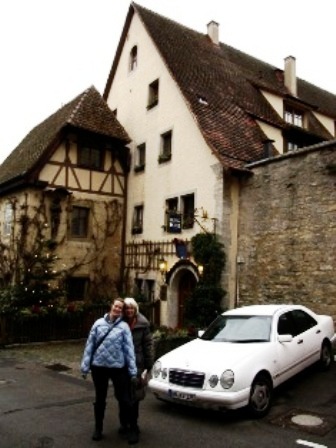 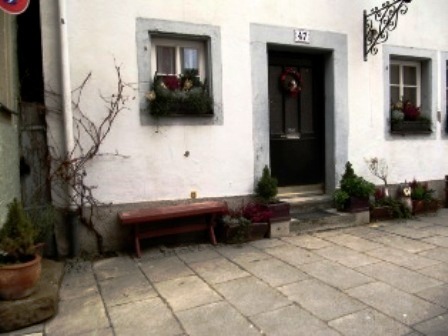 The first guest house in Rothenburg.